Pictured below, a couple of images from a recent trip to Tea Tree Creek beach near Flinders on the Mornington Peninsula. My friend Jason positioned nice ‘n close to the action. The photography community seems to be polarized over the use of phone cameras and associated filter programs such as Instagram. I must admit to being slow to travel down the “phone and filter” path and have only recently decided to give it a go to see what all the noise is about. Since giving it a trial run I must admit that the use of Instagram and other similar programs has reintroduced a fresh and fun aspect to my photography. 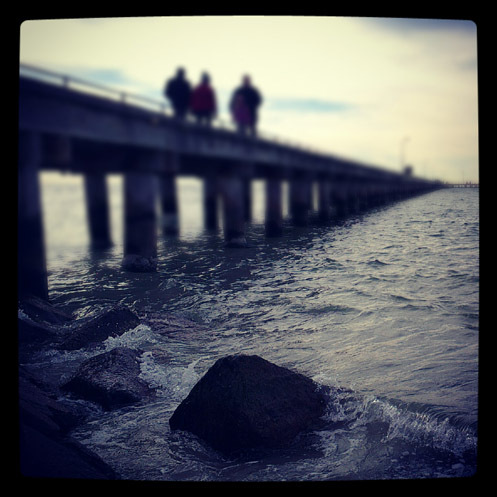 Pictured below – Rye Pier. I find it refreshingly simple to just pull out my phone, click, process and even publish the image so quickly. I also enjoy being forced to rethink my compositions into a square format after being conditioned by years of using a 3×2 SLR format. 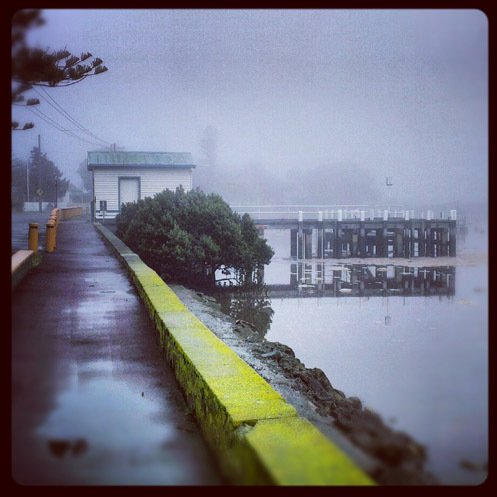 Pictured below – A foggy morning at Tooradin foreshore. Admittedly I’ve had to resist the urge to “pixel peep” at the noise and visual anomalies created by some of the clunky filters. This will never replace my SLR photography but I reckon it will complement it nicely. Phone photography has definitely introduced a fresh fun aspect to my photo life. 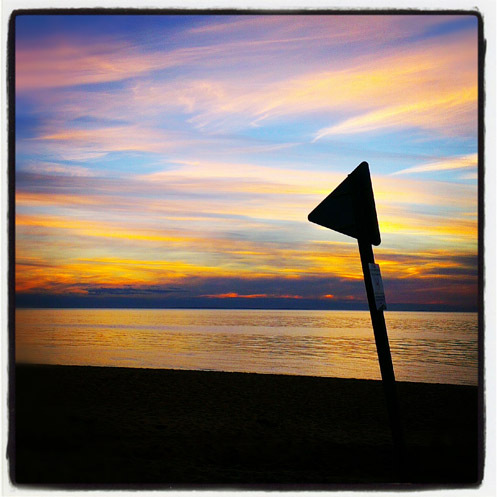 Pictured below – Mt Martha beach. 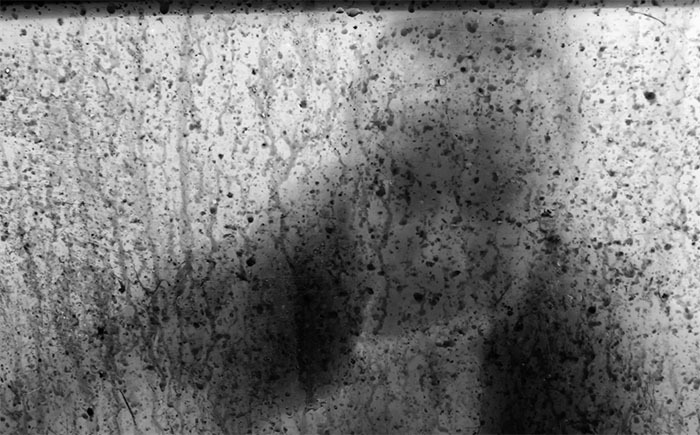 EWLAT 1 – The Texture of the Door. Now for something experimental, completely different, and a bit of fun, – experiments with light and texture – number 1. 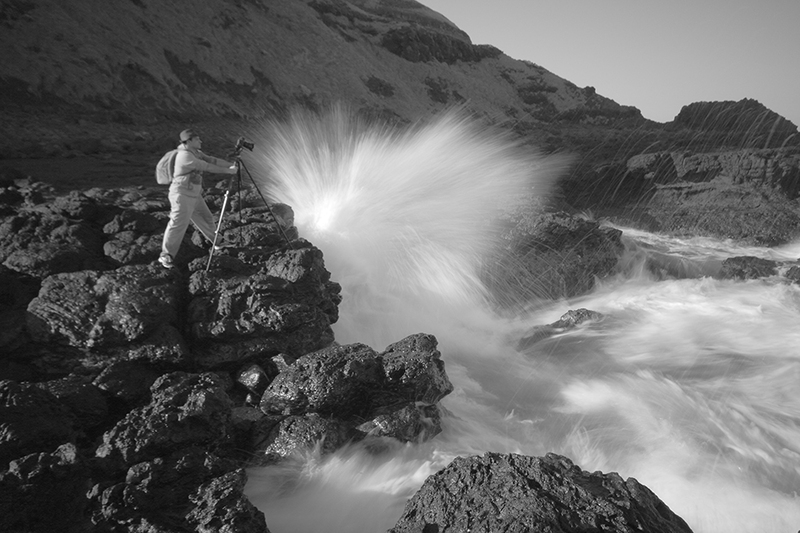 The image was shot with a Lumix LX3 in “dynamic black and white mode” mounted on a gorillapod and using the 10 second timer. 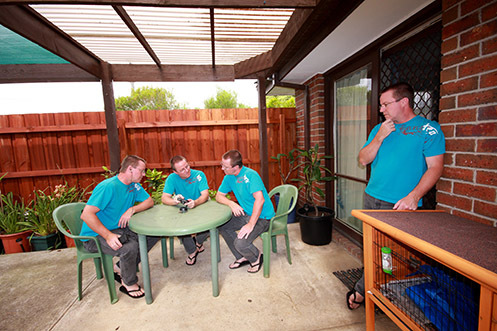 The Multiple Portrait – photography fun. An interesting way to create a fun portrait is to place the subject in the same frame several times creating a “multiple portrait”. 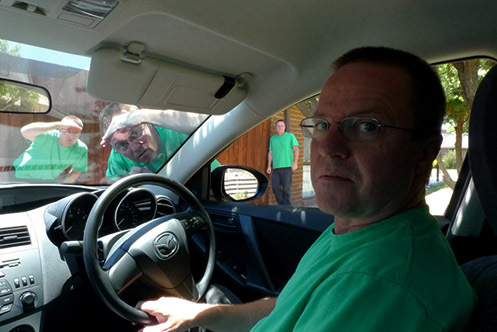 Viewers are often intrigued and amused by the resulting image. I had the pleasure of creating a couple of multiple portraits over the weekend for some neighbours. 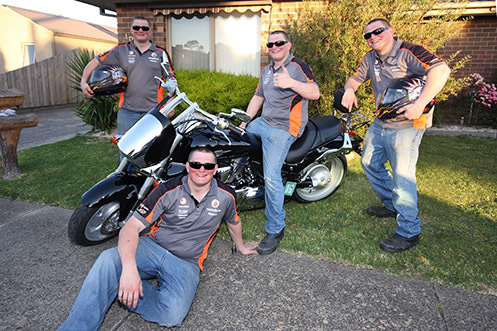 Pictured below – A multiple portrait of Chris, the proud owner of a new bike. So how did I create this image I hear you ask? The camera was mounted on a tripod to hold the camera completely still. This is important because the aim is to take several shots with no apparent movement of the background. This simplifies the editing process later. The camera was set to manual mode and the shutter speed, aperture and ISO settings adjusted to give me a good exposure. It’s best to use manual mode because it locks in the exposure. If you use any other mode then there is a good chance that the camera will slightly adjust the exposure from one shot to the next as the subject is repositioned within the frame. 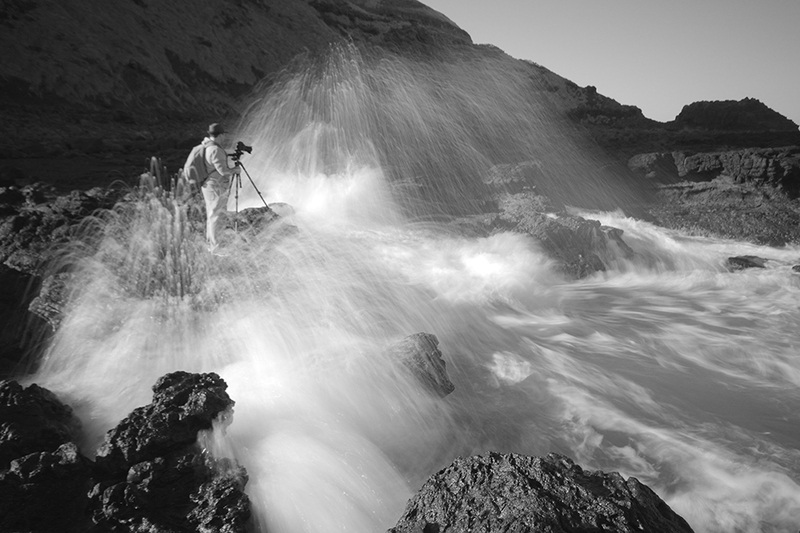 This fluctuating exposure level between shots causes the apparent brightness of the background to change making the editing process more difficult later. So in a nutshell, with all of the above considered, I took four shots with Chris relocating himself within the frame between each shot. Now for the editing ………. 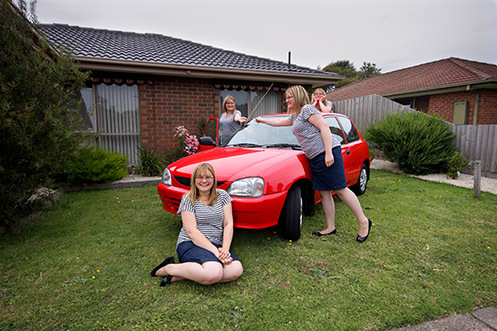 Pictured below – Sarah the proud car owner. When it comes to the editing I’m definitely no photoshop guru. There are different ways to achieve the desired result involving the use of layers and smoke ‘n mirrors, but this is what I do. I simply open all four images in photoshop. I use the first image as the base image then simply use the lasso tool to roughly select and copy the subject from images 2,3 and 4 and paste them into the base image one at a time. I always include some of the background within each lasso because this makes aligning the subject into the image very easy. ……and here’s a couple I prepared earlier, self portraits.